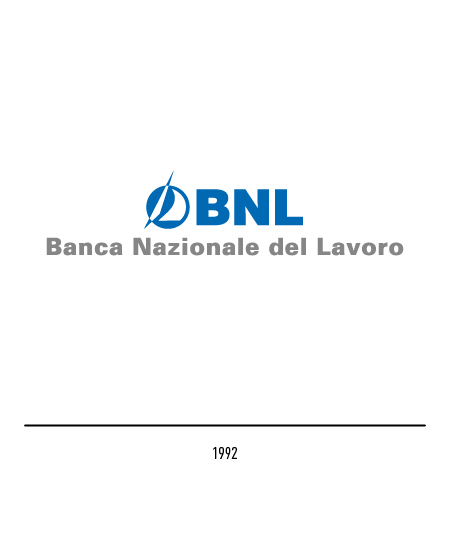 The Bank was founded in Rome in 1913, initially under the name "Istituto nazionale di credito per la cooperazione" which was changed in 1927 to "Banca nazionale del lavoro e della cooperazione", and finally, two years later, to its current name. 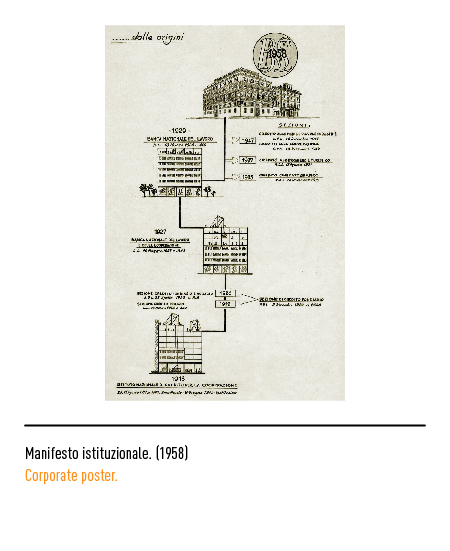 In 1936 it became state-owned with the power to grant standard and short-term loans. 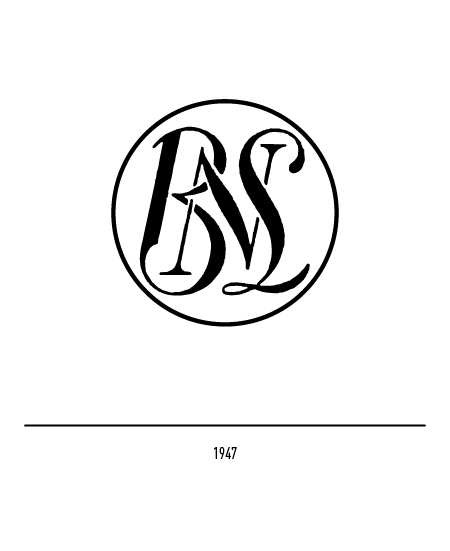 Its first trade-mark came out in 1947 with gracefully curved and entwined lettering typical of the period. 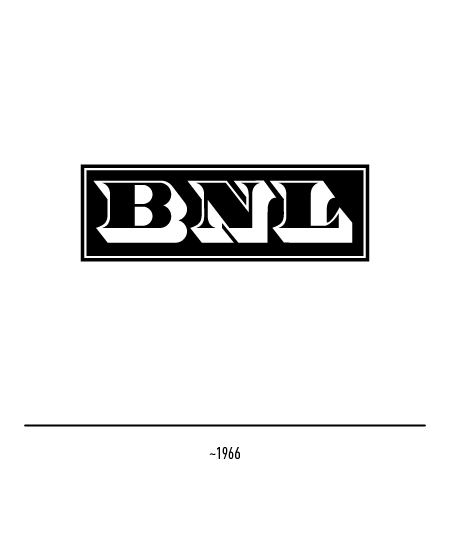 A more up-to-date, compact, and legible trade-mark was inaugurated in the sixties comprising the initials BNL in chiaroscuro lettering within a black rectangle with double borders. 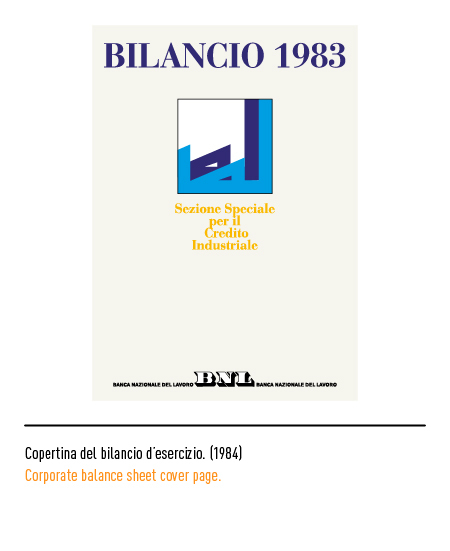 As can be seen from company records, the need to change the trade-mark was discussed at a meeting of the Bank's executive committee in 1983. 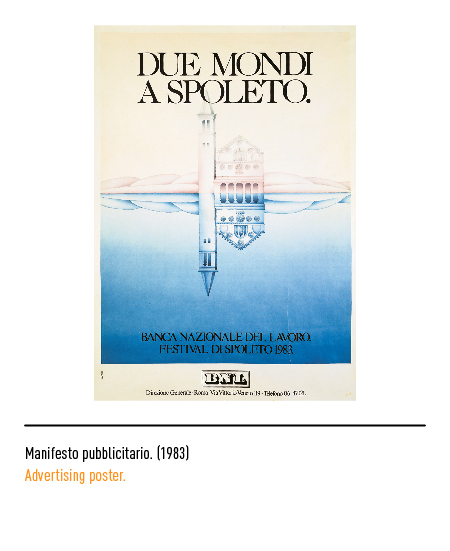 The go-ahead was given with the proviso that the trade-mark not be overly changed as it was the only one filed internationally. 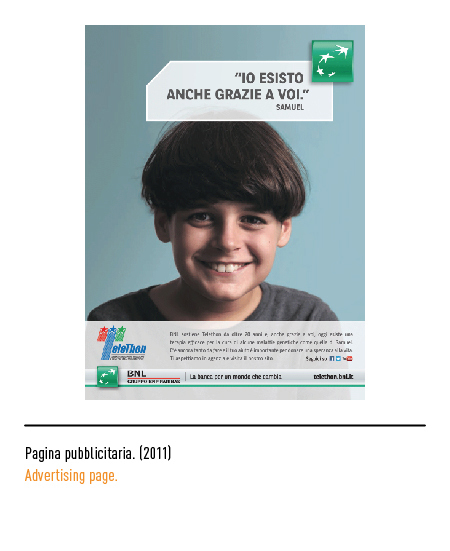 Armando Testa's restyling was a positive change. 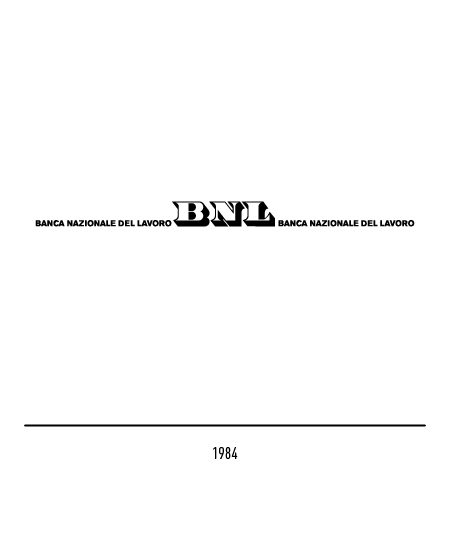 Initially, the borders were taken out and the name of the Bank, Banca Nazionale del Lavoro, given in full. 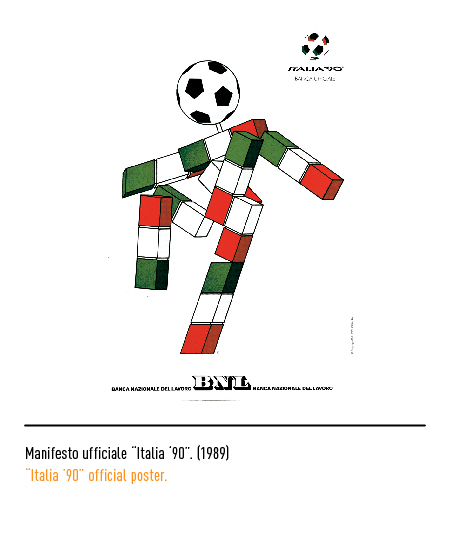 It was then decided to lighten up the overall design. 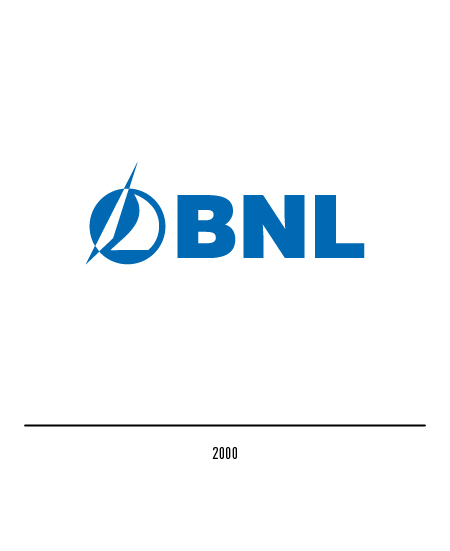 Thanks to the new graphics the trade-mark was easier to identify even when in the smaller versions the wording along the side in the middle of which the acronym BNL boldly stood out became so minute as to be illegible. 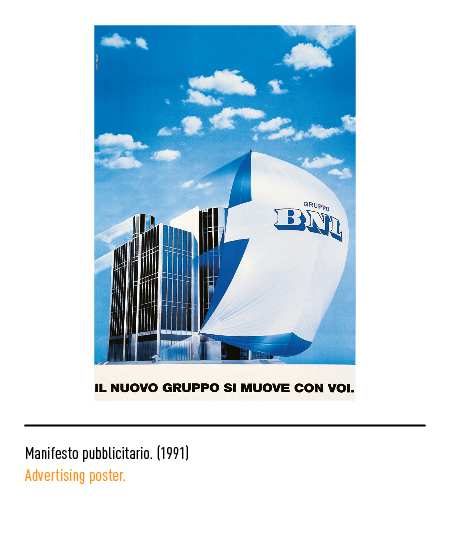 In 1992 the Bank was turned into a joint-stock company and the highly successful publicity campaign accompanying this transformation provided Landor Associates with the idea for a new trade-mark. 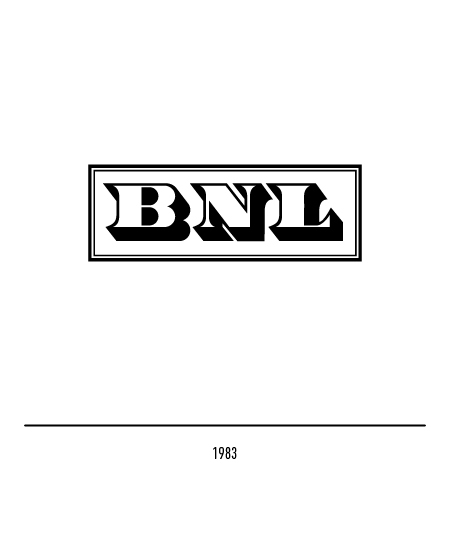 The device now portrayed a stylised spinnaker of a racing yacht with the acronym BNL in capitalized Univers lettering, a detail that was subsequently omitted in 2000. 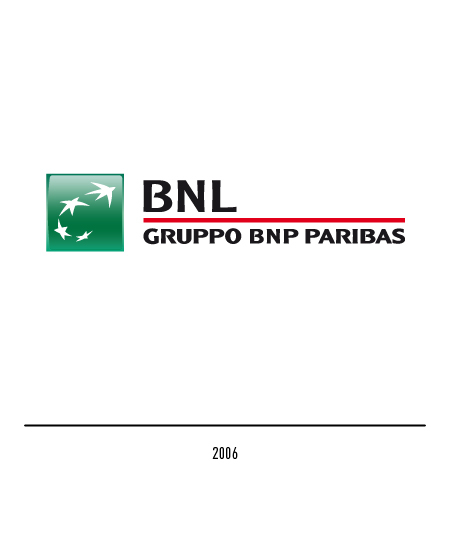 In 2006 it joined the French group BNP Paribas, the logo of which pictures the stars of the European flag turning into swallows, representing changing and developing, two key words for the group. 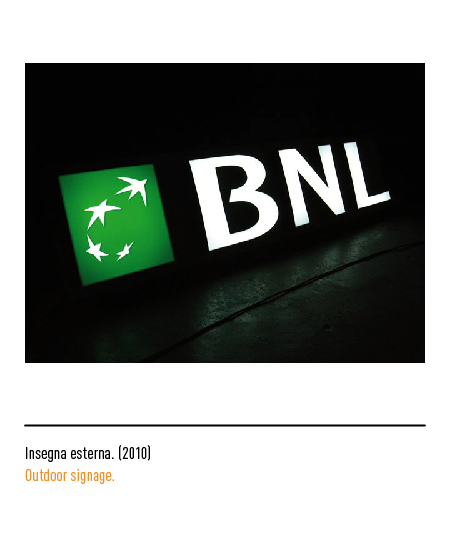 Due to such joining, the Bnl logo undergoes a restyling: the acronym is typed with institutional font and, only exception in the unity of the group, the red underlining of the logotype to visualize the Italian tricolour. 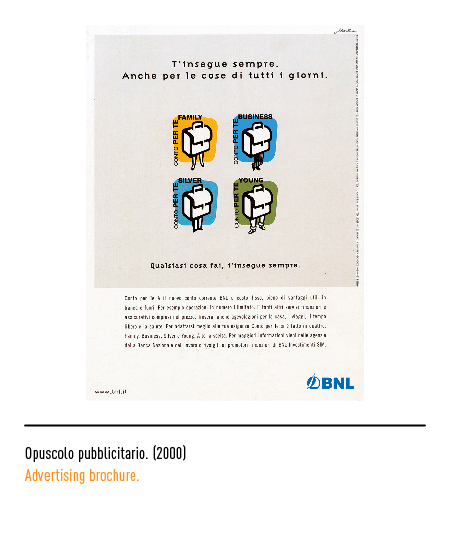 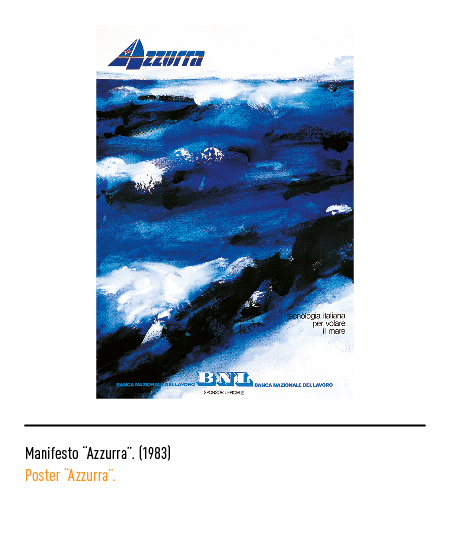 LE CARTE DELLA MEMORIA, Archivio Storico della BNL, volume I e II, Roma, 2002.